The bookies have already named Emmelie de Forest’s “Only Teardrops” as the winner of Eurovision 2013. Some pundits say it’s a two-horse race between Denmark and Norway to the top. However, this year is quite interesting. There no standout song within the two major voting blocs of Scandinavia and the former Soviet Republics. Normally, one country in each of these blocs would have a standout song that neighboring countries would throw all their points at. This year is different and goes into uncharted waters in modern Eurovision history. 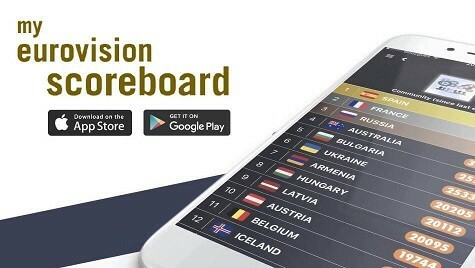 As stated before, Norway and Denmark are the bookies’ favorites, Sweden is the press favorite, Finland is gaining traction with an edgy performance, and Iceland exceeded expectations in rehearsals and on Thursday. The entire bloc is filled with frontrunners and dark horses. It gets equally complicated when you head east to the former Soviet countries. Russia and Ukraine stayed consistently in the Top 5 of betting odds. Azerbaijan’s betting odds have improved in a similar pattern to that of 2011. Georgia is one of the press favorites with some speculations that they won the 2nd Semifinal. Furthermore, never count out Armenia, which has consistently done well and rarely placed close to last in the final. So, who votes for who? For a typical Scandinavian or former Soviet voter, this would be a tough call. All of the top points from these voting blocs may be split and be distributed more evenly than in the past. To complicate things further, this year, an entire voting bloc, the former Yugoslavian countries, has been completely destroyed in their respective semifinals. We all know that this bloc has been particularly one of the most predictive blocs voting-wise. Hypothetically speaking, if one former Yugoslavian country qualified, the Scandinavian and ex-Soviet blocs would not be affected because the that lone former Yugoslavian qualifier would maximize its monopoly from its bloc as much as possible. As a result, I predict that there will not be any voting patterns from former Yugoslavia because it will be the first time in Eurovision history that the Yugoslavians have no neighbor to focus on. This will mean a chaotic, unknown distribution of their top points. While the clearly audible cheers for Emmelie de Forest in tiny Malmo Arena have gamblers and pundits ready to call it a shut-and-close case for Eurovision 2013, the set of conditions we have this year are unprecedented and will give rise to a perfect storm. And even if Denmark’s Emmelie de Forest wins, the actual results may be much closer than a lot of people think. Get ready Europe for shockers and surprises for Saturday night. Update: We’ve received strong indications in the Eurovision press centre that Zlata Ognevich may benefit from having Serbian roots. Journalists point out that she has a Balkan look and that her last name will be instantly recognizable to people in ex-Yugoslav Republics. In fact, Zlata actually means “gold” in Serbian. Given that NO Balkan nations have made it through this year, she stands to benefit dramatically. Norway’s performance on Thursday was much weaker than Denmark or the Netherlands. Don’t count out Anouk! And Finland may capture a good chunk of points with their catchy tune. My votes are for Bonnie and Farid. Go UK, go Land of Fire! Don’t think that Denmark could win this race. Hoping that Ukraine will be much brighter or there will be no visual conquerers for Azerbaijan. Hoping for the bright Final to Azerbaijan! Best Boy, Best Show and Best Song = Farid Mammadov! After two disappointing semifinals i hope Italy wins. this is a beautiful festiva! i hope to win danimarka!